The trouble with downloading music from various sources on the internet is that not all the files come with complete tags. Some of your tracks may have just the artist labeled. Some may only have the song title. That’s really an annoyance when you want to sort songs. So if you want to keep your music collection completely tagged, adding and editing the ID3 tags is pretty essential. But the problem is, which program is the best to help you get the ID3 tag editing job done? Don’t worry! Here I will share 3 best free MP3 tag editors with you. You can choose the favorite to edit MP3 ID3 tags on Windows platform for completely free. When it comes to the best free MP3 tag editor, I bet MP3Tag is the first appearing in your mind. 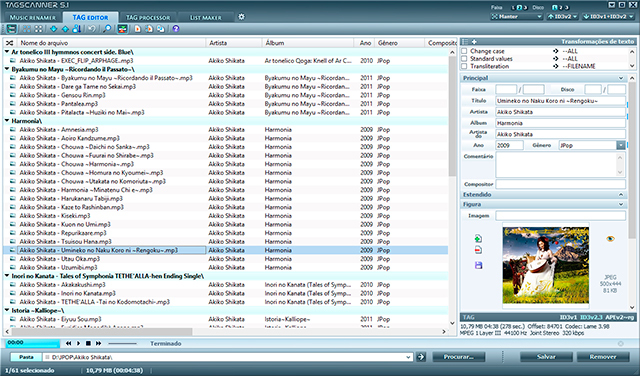 The software gives us a tidy and simplified two-column user interface with everything editing-rated on the left side, and browsing around tracks on the right side. MP3Tag supports a large number of audio formats like MP3, WMA, AAC, OGG, FLAC, MP4, etc. It can rename files based on the tag information, replace characters or words in tags and filenames, import or export tag information, create playlists and more. MP3Tag is in full support of online database lookups, allowing you to automatically gather proper tags and cover art for your music library from Amazon, discogs, freedb, etc. Tagscanner is my favorite MP3 tag editor freeware. It supports basic tags such as artist, album, title, track, year, genre, and extended tags including composer, grouping, BPM (beats per minute), etc. Lyrics are shown below the album cover. Tag scanner can edit tags of common audio files, rename files based on the tag and stream information, generate tag information from filenames, etc. You can also get album info and covers from online databases like freedb, Amazon, Discogs, etc. It’s worth mentioning that Tagscanner with its Tag Processor allows you to preview tags and cover arts before saving them into MP3 files. Batch editing is supported and you are allowed to export playlists to HTML or Excel. One problem is Tagscanner comes with an abnormal windows menu. So you may need to spend some time to get yourself familiarized with its user interface. Think MP3Tag and Tagscanner are too simple and don’t match your expectations? Don’t like their bulky interfaces? Well, maybe you can turn to MusicBrainz Picard. The free MP3 tagger performs excellent in music tagging business. It could scan your music library and try to identify every single song you’ve got. When additional or missing tag info is founded you will be asked whether you want it to be saved or not. 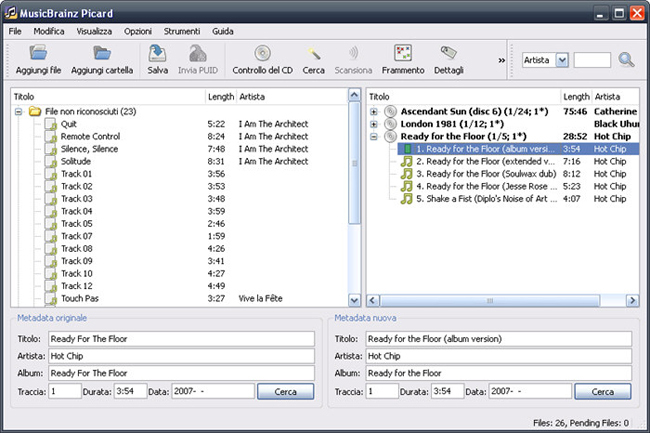 MusicBrainz Picard supports audio formats include MP3, OGG, FLAC, AAC, MP4, WMA, WAV, MPC, APE, OFR, WV, and SPX. Note that organizing files is a little tough thanks to the not-so-wonderful interface. But it’s easy to get used after using the program a few times. If you think above freeware cannot meet your needs, or you are unsatisfied with them, you can turn to another highly-rated ID3 tag editor – Leawo Tunes Cleaner. No matter you songs come with no album art, name, genre, year or artist, Leawo Tunes Cleaner could help you fill up all missing song details. It automatically identify all incomplete songs in your collection, get all missing song tags from world’s richest database, and apply all tags to songs in batch and an automatic way. 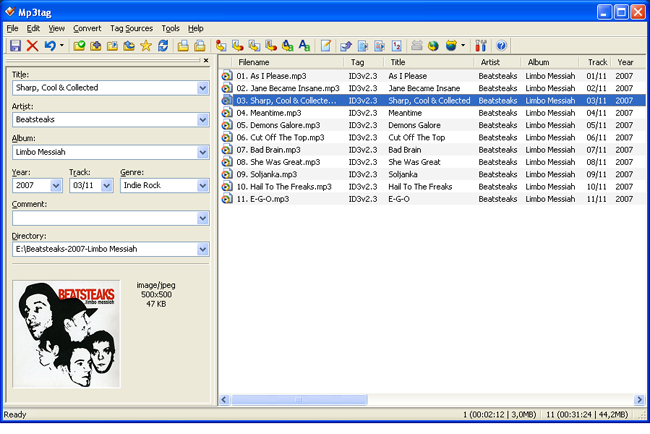 Leawo Tunes Cleaner also provides you an access to edit MP3 tags manually. You can even make use of it to remove iTunes duplicates.